The Shaker square profile is a highly sought after style for many interior finishings. The minimalistic design has become a widely popular trend for interior doors. The Shaker style compliments many design themes from transitional to contemporary spaces. Milette Doors are proudly made in Canada with over 50 years of manufacturing expertise. We use only premium quality North American wood harvested from sustainable resources. 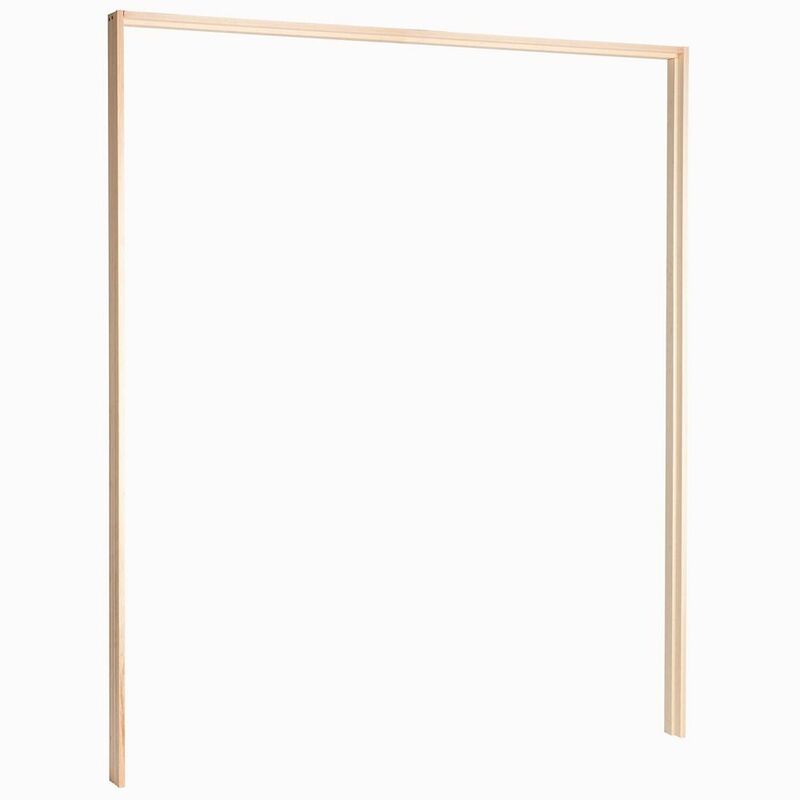 Machined Finger Jointed Double Pine Door Frame Set The Masonite Pre-Machined Interior Door Kit is specially designed for quick and easy installation of Masonite Pre-Machined Interior Doors. Each kit contains everything needed to frame an existing 48in, 60in and 72in x 80in wall opening. Each kit supplied with one frame leg pre-machined for hinges and stop attached, one frame leg pre-machined for lock with stop attached, and one 72in header with stop attached.